100% of the proceeds support the Iowa Girl Cops Are Awesome Cancer Projects for cancer patients. 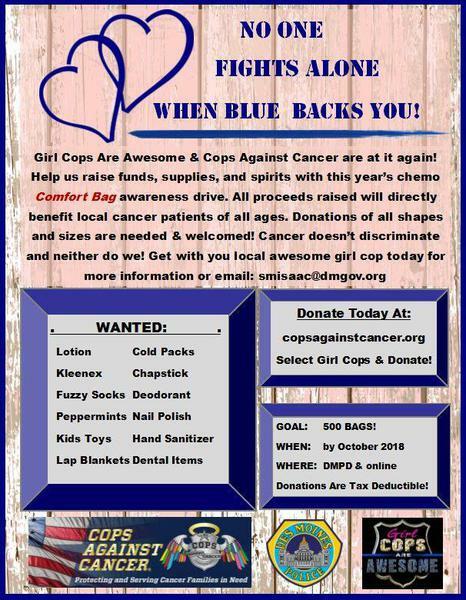 Cops Against Cancer is a proud partner of the Girl Cops Against Awesome Cancer Projects. 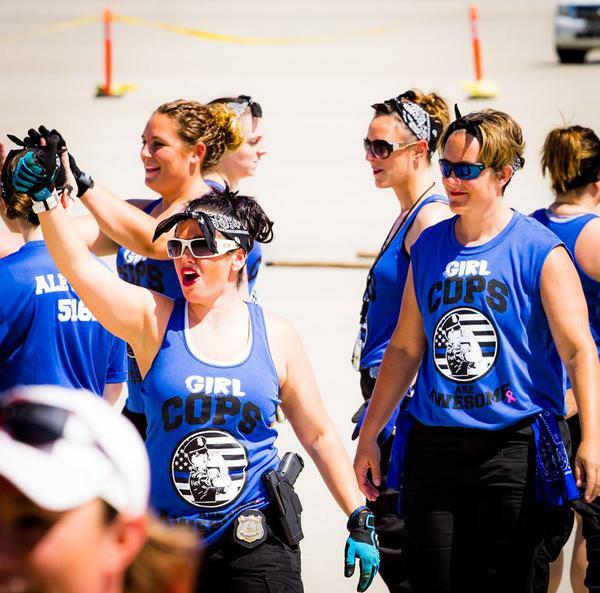 The Girl Cops Are Awesome organization is comprised of several law enforcement agencies throughout Iowa and includes members from patrol, detectives, neighborhoods, "gold braid" and more. They are so very proud of all females in law enforcement who make a difference in a profession traditionally known as "man's work" because their know what an important role females really play! 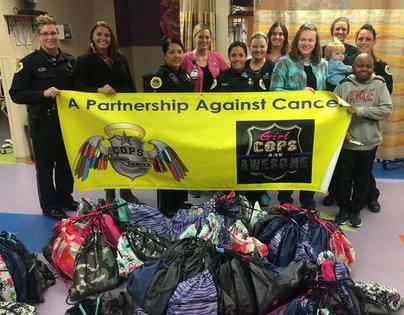 Their focus is making a difference by identifying, supporting and paying-forward to "protect and serve"
First year out, Girl Cops Are Awesome raised over $4,000.00 dollars in funds and supplies to provide over 200 Comfort Bags to the Metro Area Cancer Center.